New features expand on Mitel’s ‘speed-to-market’ advantages. Mitel has added new features to its MiCloud portfolio aimed at helping service providers quickly deliver cloud communications to their customers. Additionally, the latest release of the MiCloud solution contains a number of enhancements to help service providers lower total cost of ownership (TCO) even further. This coincides with news from Synergy Research Group that Mitel is the global market share leader for cloud business communications based on subscribers and seats, with nearly 20% worldwide. “Customer interest in our Mitel-powered cloud communications solution has been growing as customers seek flexible, affordable communications solutions that fit their unique business needs. MiCloud’s new features further strengthen our offering increasing our scale up into large enterprises while adding even more mobility for our SMB customers,” said Bertrand Laurioz, Telecom BU Director, Hub One. A comprehensive cloud communications solution, MiCloud powers Mitel’s own cloud services as well as providing the platform for a growing number of service providers. MiCloud enables service providers to customize solutions to reach their target audience, from small-to-medium size businesses up to large enterprises. New features enhance mobility, increase scalability for enterprise customers and further tighten integration with popular applications including Salesforce.com and Google Business Applications. With more features now included in Mitel’s licence bundles, MiCloud offers even more functionality at a lower cost. These include features aimed at supporting an increasingly mobile workforce. Additionally, Mitel has streamlined the provisioning, management and support of Mitel users to further lower the TCO. New features for MiCloud simplify provisioning of new services, helping service providers to quickly configure, upgrade or downgrade service bundles. Not only does this accelerate the on boarding of new customers, it also allows service providers to easily provide attractive new ‘try and buy’ promotional offerings. To help service providers quickly deploy a new MiCloud solution, or to help optimize existing services, Mitel has introduced standardized and tested solution blueprints and an expanded suite of professional services. MiCloud powers more than 33 million cloud connections per day. Solutions include applications for unified communications, audio and video collaboration, and contact centers. For more information please visit http://www.mitel.com/micloud. 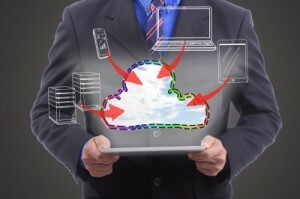 Is a Cloud CRM Right for Your Business?